Larry Connors has over 34 years of direct experience in the financial markets industry, and is widely regarded as one of the leading professionals in the industry. Larry Connors is the Principal Managing Partner of Connors Global Asset Management LLC. He started his career in 1982 at Merrill Lynch. He moved on to become a Vice President with Donaldson, Lufkin, Jenrette (DLJ), Investment Services Group. After leaving DLJ, Mr. Connors went on to successfully manage a private investment partnership. The C2 Flagship Fund, a low volatility fund, had profitable audited performance for 8 of 9 years (before fees) including being profitable in 2008. In addition to managing money, Mr. Connors built three multi-million dollar financial information companies. He also served as Chairman, CEO/Co-founder of The Connors Group which publishes and distributes financial market information and technology. During this time, The Connors Group was twice awarded by the Entrex Private Company Index as being one of the 10 fastest growing private companies. 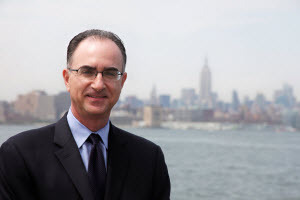 He is also a Managing Partner of Connors Research, LLC, a highly-respected financial markets research firm. 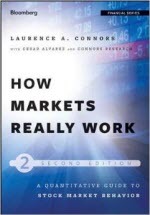 Mr. Connors is the author of over 20 books on market strategies and volatility trading, including How Markets Really Work, 2nd Ed. 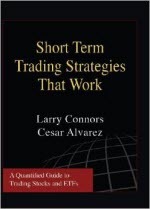 (Bloomberg Press) and Street Smarts (M. Gordon Publishing), which was selected by Technical Analysis of Stocks and Commodities as one of “The Classics” for trading books of the 20th century.